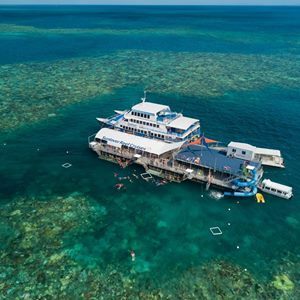 Join Sunlover Cruises for a memorable trip to their Outer Barrier Reef pontoon (floating platform) at Moore Reef, and enjoy the many activities available. 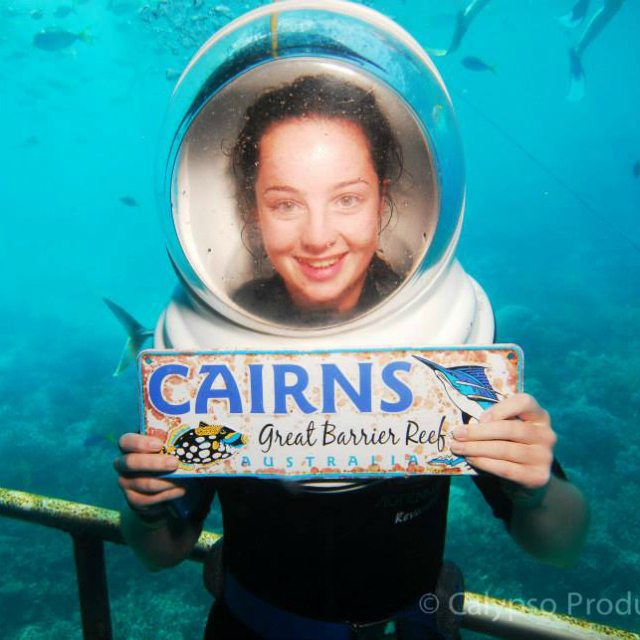 Make your way to the Reef Fleet Terminal on 1 Spence Street, Cairns. Arrives back in Cairns at 5:30pm. 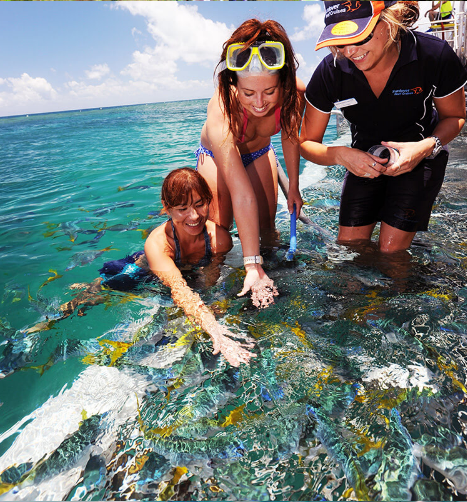 Outer Barrier Reef snorkelling experience. 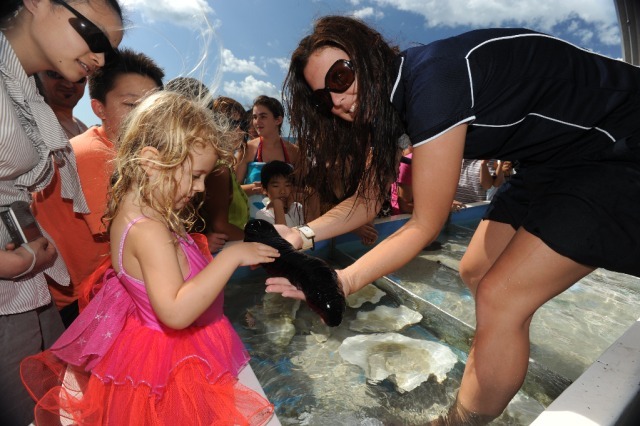 A professional marine naturalist will guide you on a 30-minute tour, showcasing the reef and its unique marine life. 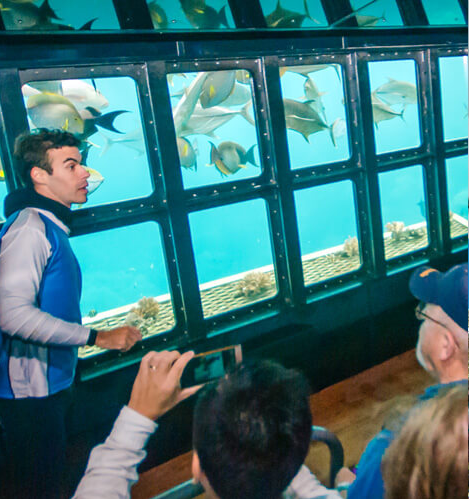 You can see and learn about the world’s largest Bi-Valve (the Giant Clam), Clown Fish with their host (Anemone Coral), and Giant Blue Starfish. 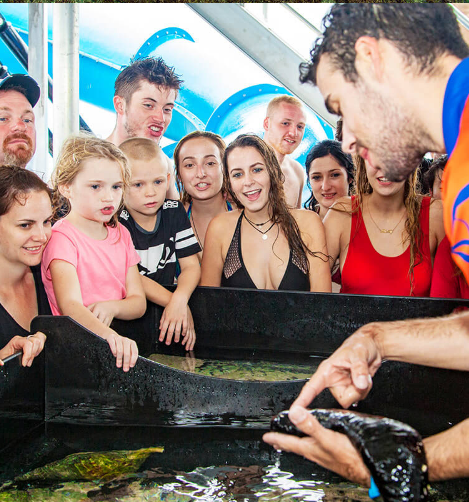 You’ll also learn a myriad of other facts about this amazing corals and marine life you will only ever see on Queensland’s Great Barrier Reef. 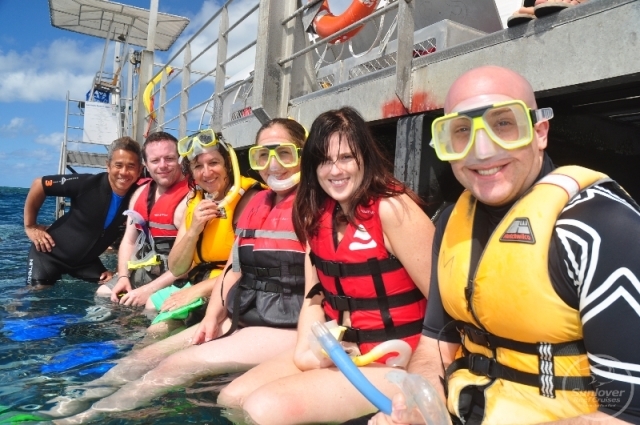 Maximum 6 guests per snorkel tour. 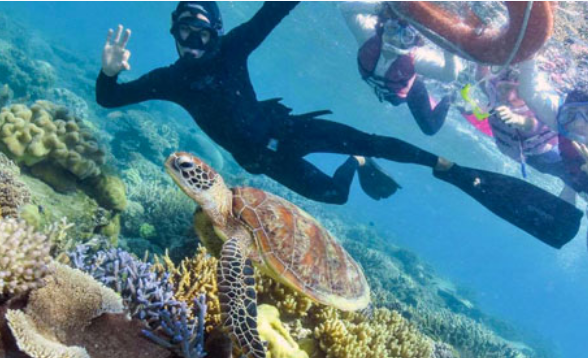 If you really want to get close to the amazing coral and marine life of the Great Barrier Reef, join an introductory scuba dive. All instructors are PADI qualified and experienced so you can immerse yourself in the reef up close, even without prior dive knowledge. 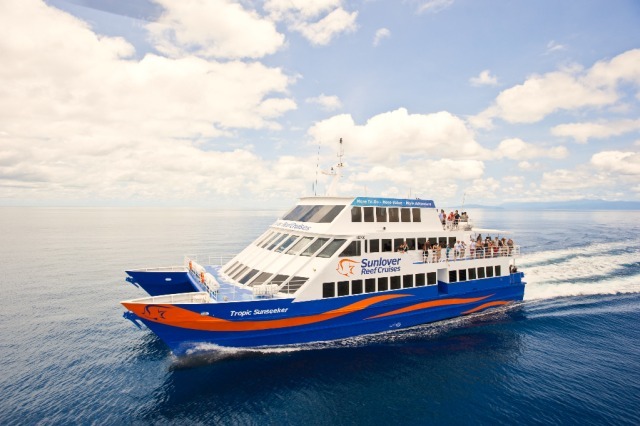 Sunlover Reef Cruises offers a range of unique dive locations, with each dive tailored to suit your level of confidence and expertise. Maximum of four people per instructor. 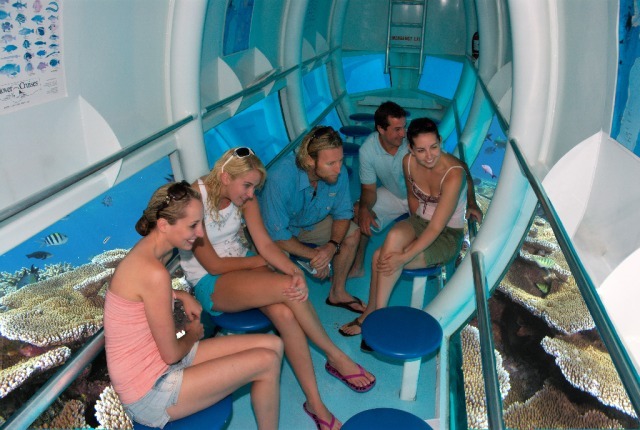 Seawalker has been designed to introduce people to the excitement of the underwater world, even without any prior dive knowledge or experience. 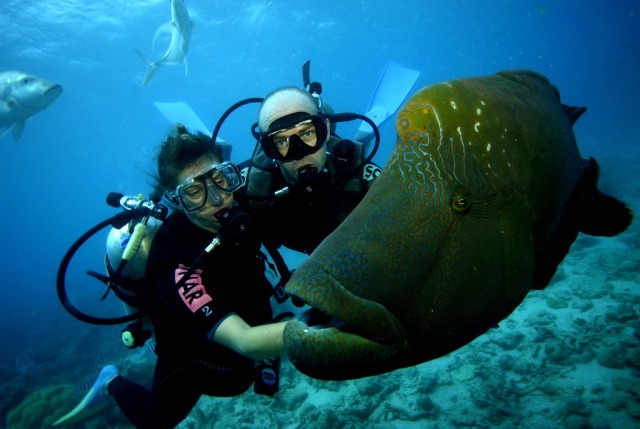 You will be guided on your adventure by a qualified Seawalker diving instructor. 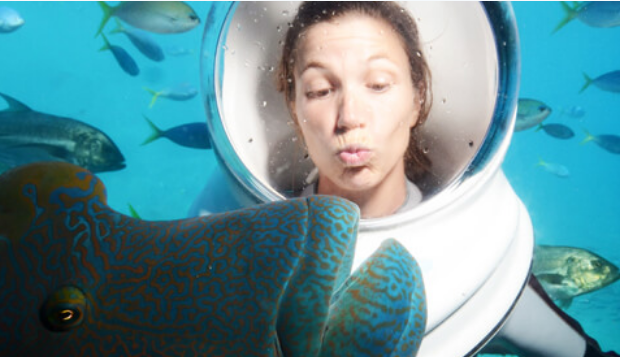 Unlike traditional scuba diving, Seawalker enables you to breathe through your nose and mouth as you would above water. 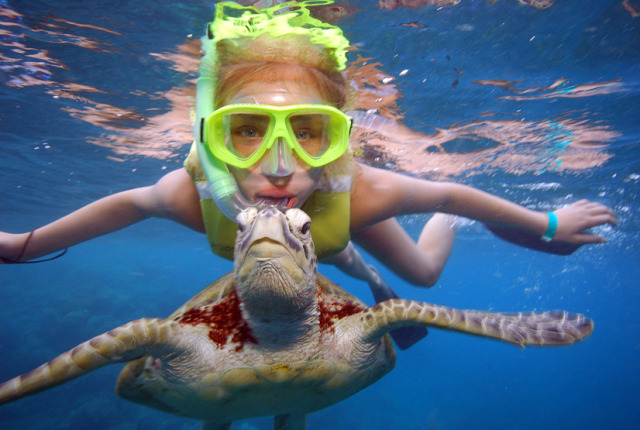 Seawalker also allows you to keep your face and hair dry while you experience the wonders of the Great Barrier Reef. Maximum of six people per instructor. 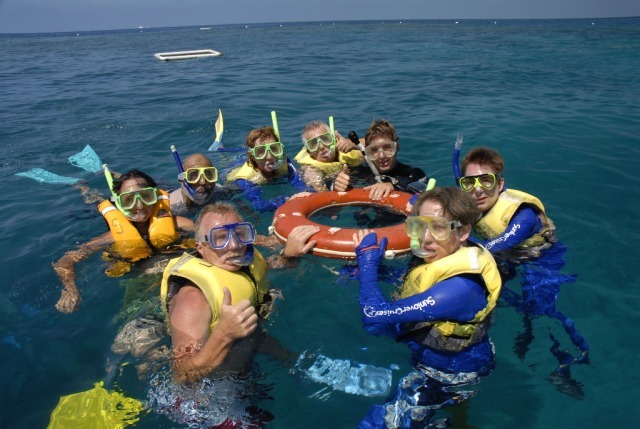 * Please note that Seawalker or Scuba Diving is subject to a medical checklist. Strictly non-refundable if on-board medical check is failed. 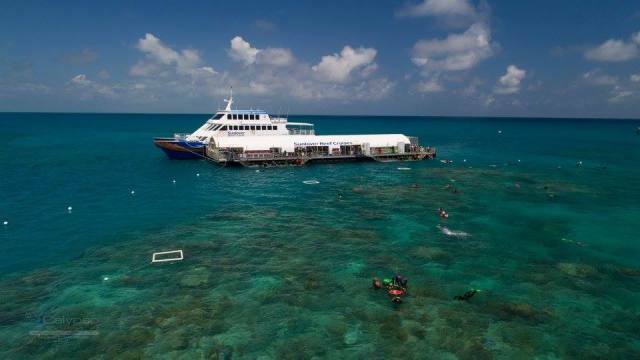 Sunlover Cruises offers a fantastic option for a shorter day and to experience the best of both worlds: the reef from above and below! 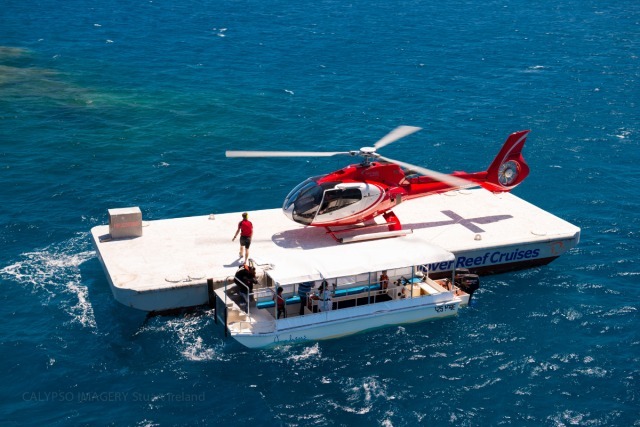 A picturesque heli flight from Cairns over tropical rainforest, the turquoise waters of the Great Barrier Reef, landing at the Outer Reef pontoon at Moore Reef or choose to depart the pontoon by helicopter flight back to Cairns. Multi-lingual staff members: Sunlover does have Chinese, Korean, Japanese and other language speaking crew members on-board. Simply pack a bag as if you were going to the beach for the day. 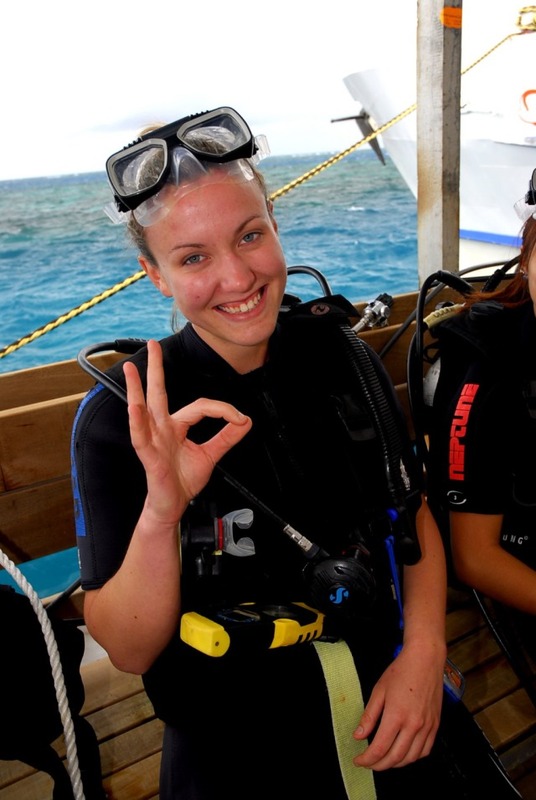 Emily who sailed the glass bottom boat, was extremely knowledgeable and passionate about the reef. Made this experience special and memorable. It was a great experience. Though the 2 hour ride to Moore Reef was very choppy and we all got sea sick but in the end it was all worth it!! 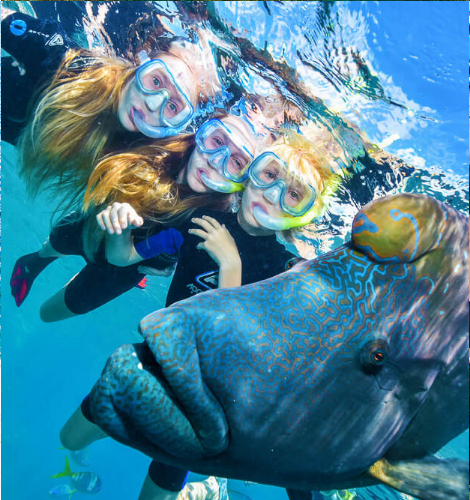 We had a brilliant time on the Great Barrier Reef trip.I would recommend the Sunlover Cruise Company to anyone wishing to visit the reef whatever their swimming ability. 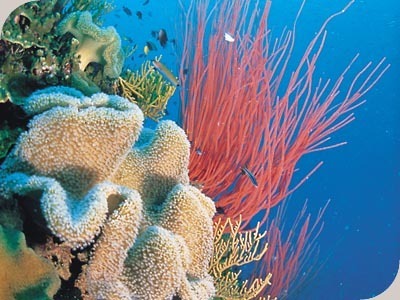 Great trip to the reef - just wish we had been able to spend one more hour there. it was a rough ride and i got so sick on the boat even i took my ginger calm pills. 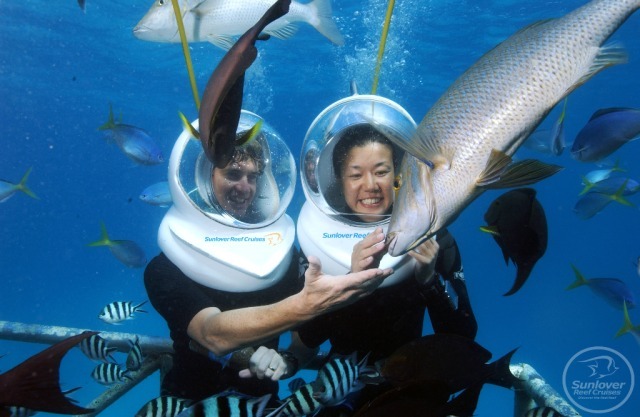 but it was worth it when i see the coral and giant wrasse. it was my first time to snorket and the lifeguard gave me a check of my gear before i go into the water. all the crew members are very nice. We got a good combo discount when we combined this with the skysail. 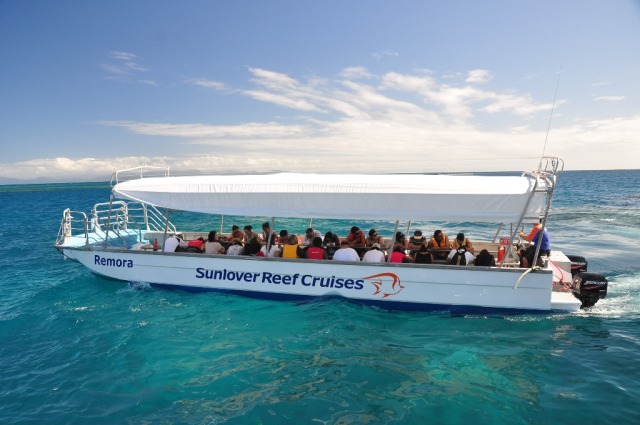 And the service and facilities of Sunlover were very good, everything was taken care of to provide a safe, family friendly and enjoyable environment in which to experience the reef. 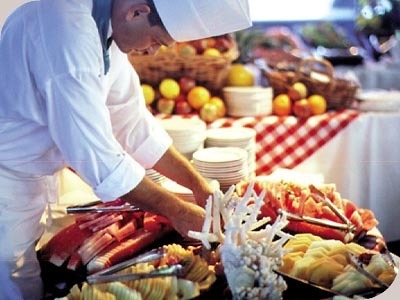 Buffet was delicious too, and our special dietary requirements were well catered for. 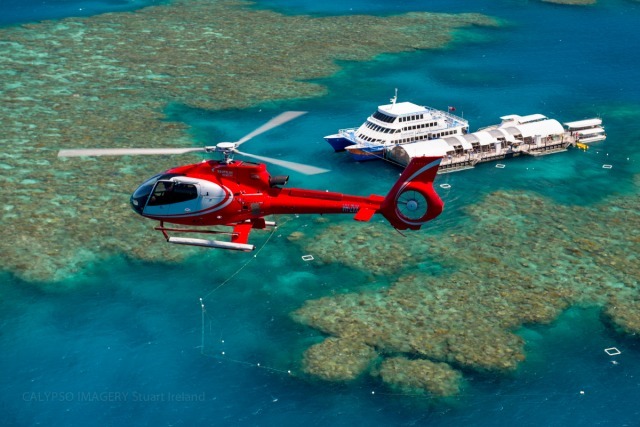 Once again overall a great tour which made the reef a memorable experience for us. Great crew, friendly and helpful to ensure a great day is had on the outer reef day. Staff fantastic on trip to support passengers with differing needs. 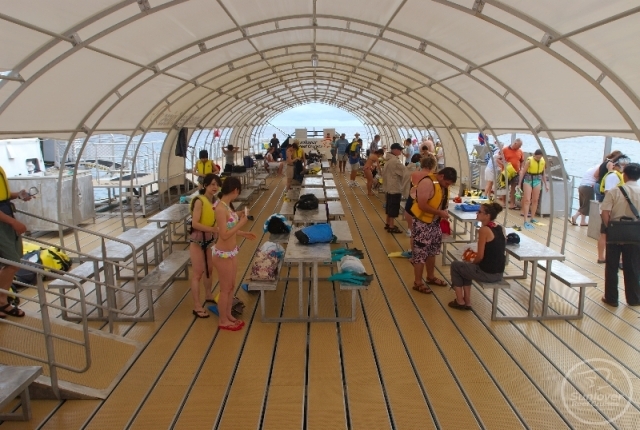 Pontoon and facilities fantastic for kids as was reef location. The staff on this trip were wonderful and friendly and made an effort to talk to people. They really made the day special. Several tourists commented on their good service. Well done. Wonderful trip both ways on the bigger and smaller boat. 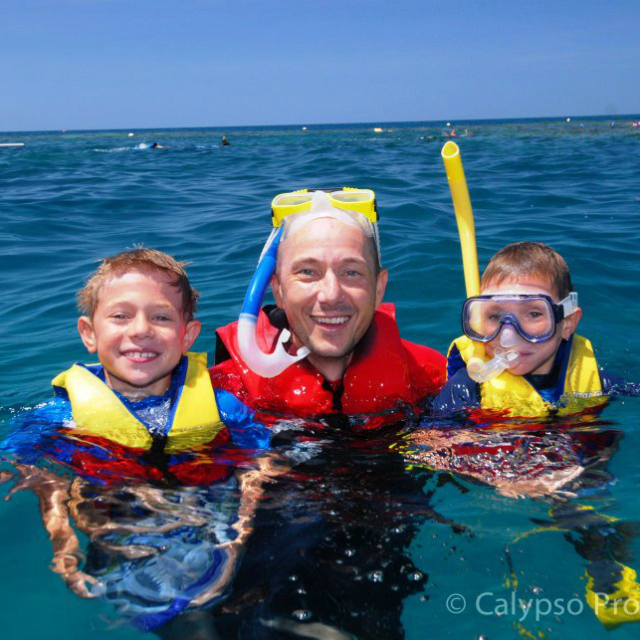 This was the perfect reef trip for a family that has swimmers and non-swimmers. 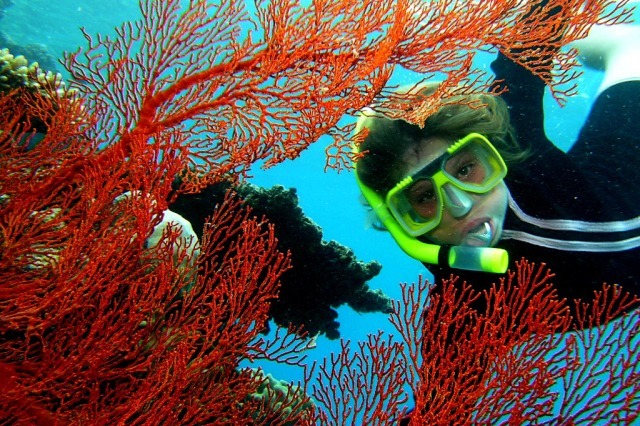 The swimmers snorkeled and did intro scub dive, saw many great fish and coral. 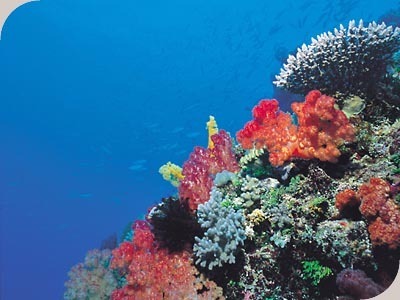 I enjoyed many trips on the semi-submersible boat seeing all the fish and coral without getting wet. The staff, food, observatory were all great. It was well worth the money. Thanks for a trip we will remember a lifetime. My trip to Fitzroy-Island was just awesome. People from travstar organised it very well. I just went to the check-in counter and got my boarding pass. So I really recommend it to book at travstar! A good day out and as neither of us are swimmers we still did not feel excluded from taking advantage of the views. Excellent staff - very professional. Made everyone as comfortable as possible with 2m swells, 30 knot winds and rain squalls! 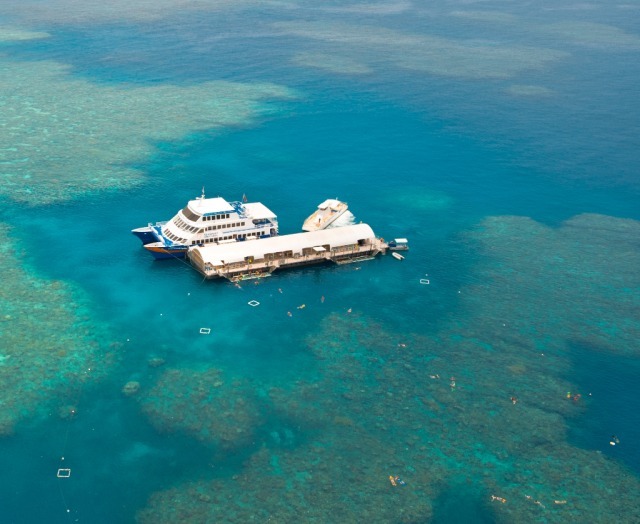 The reef was amazing and the cruise was great. Unfortunately due to the rough weather i was very sick on the way there and back but still had a great time when we were up there. 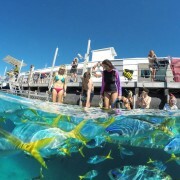 We had a wonderful day on the reef , the staff were fun loving and helpful, the facilities great. we couldnt have asked for a nicer day. Exceeded epectations. Staff friendly, food great. Most enjoyable family day. 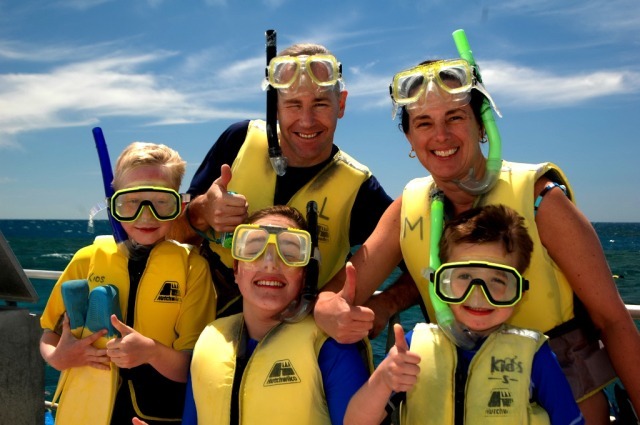 Took the Family on thier first snorkling experience and found Sunlovers to be very informative and friendly. 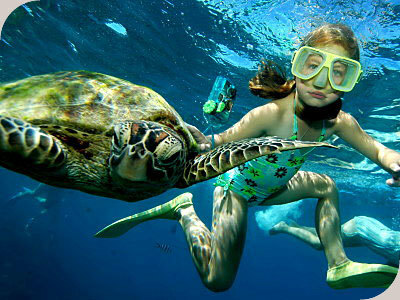 The reef was fantastic and got to swim with \\\"Emily\\\" the Turtle. What a honour. We had great weather and the kids at all times felt very safe and enjoyed thier day so much they didnt want to leave. Thankyou for a great experience and value for money. Staff were attentive & very friendly. Have not experienced service like this before. Sunlover was an amazing day. The crew were very friendly and helpful. 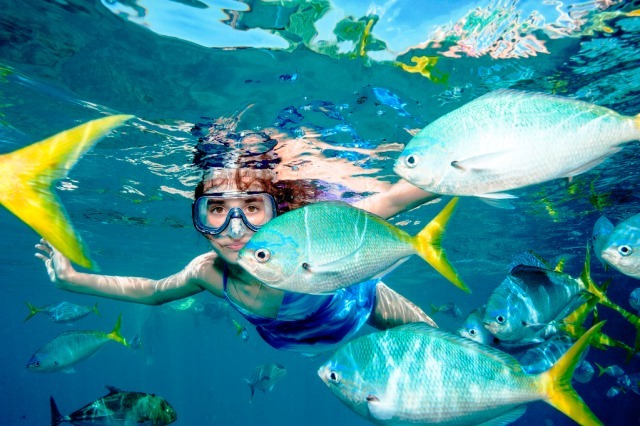 The snorkeling was something that you have to see to believe. It was like looking at a television screen. This day is something we will never forget. 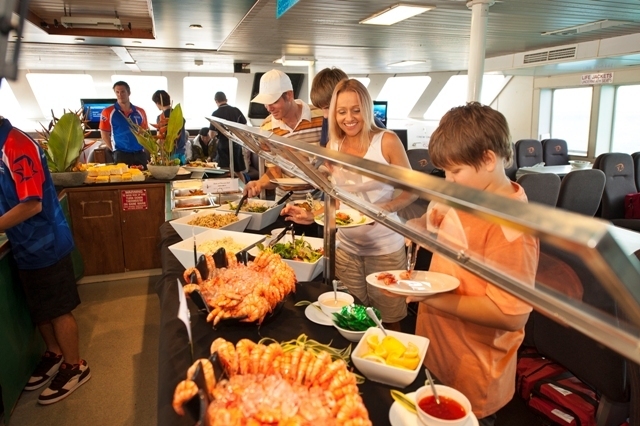 My daughter said \"It is a life changing experience.\" Thanks so much, we would recommend this cruise without a doubt. 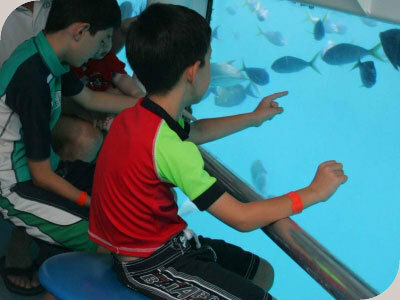 Great adventure for families with younger children. We loved it! 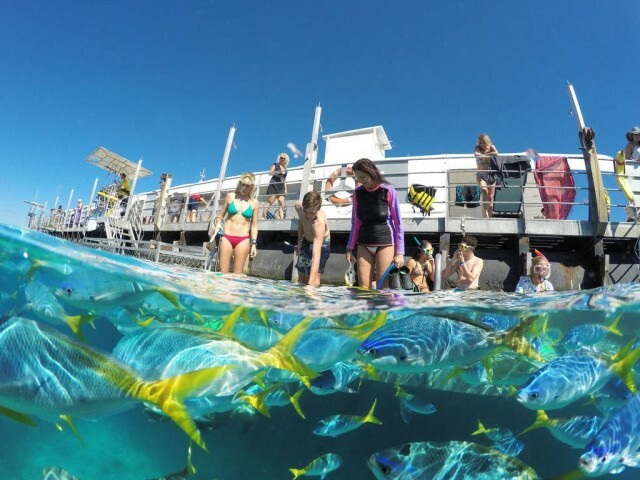 I just wanted to drop you guys a line to say thanks for a great day on the reef last Thursday. 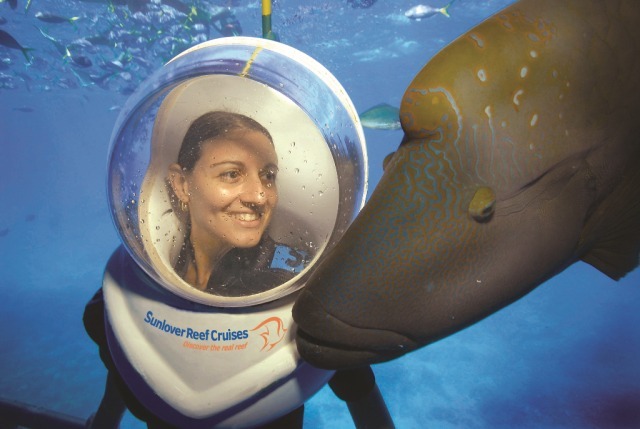 I was delighted to join you on board and snorkel on the reef. Special thanks to Tina for her enthusiastic presenting style when instructing on scuba diving and the rules and regulations for the trip and also to the lovely Kate (the model from Vogue from memory) for her demos and friendly chat. Cheers guys, great day and well worth every cent! Just wanted to drop a quick line to say a HUGE thank you to the Sunlover team (family!) in what was the high-light of our trip. turtles, just added to our perfect day and we have all come away with some fantastic photo's to let the day remain in focus! All the staff were friendly & helpful. We had a 4 yr old child with us & she was well catered for. 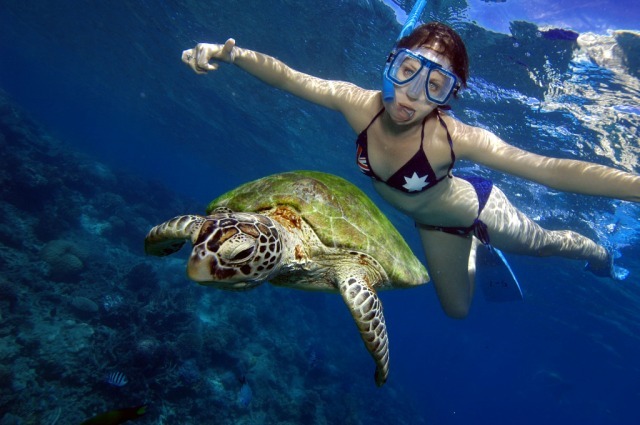 She was able to go snorkelling & had a great time. 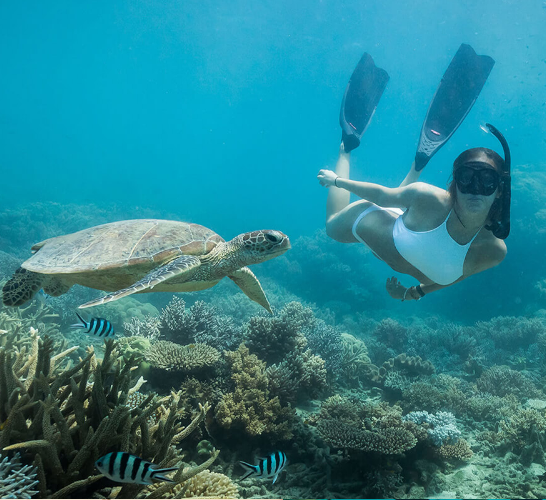 We found nothing to complain about during our day on the reef. 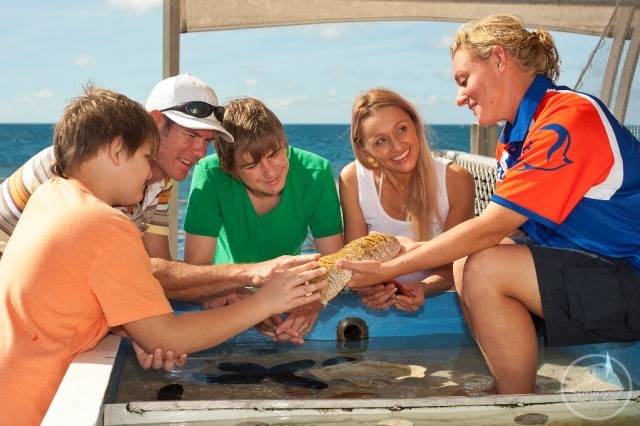 I have to tell you our family loved Sun Lovers Tour at Moore Reef. The trip was exactly what we were looking for. 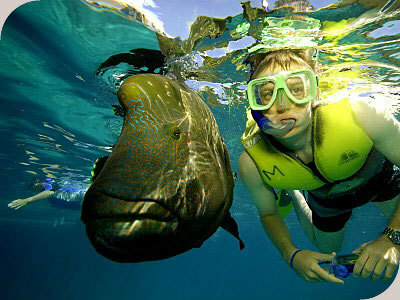 We had plenty of time to snorkel on the GREAT BARRIER REEF!!!!!!!!! 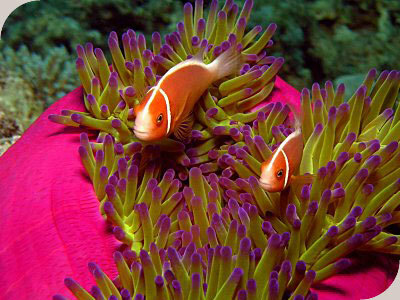 The Colors were vibrant and the marine life was plentiful. 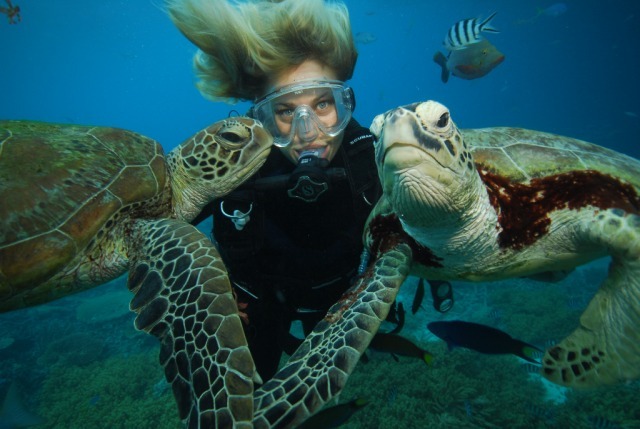 We had the chance to meet Wally (Biggest Fish ever) and the local regular turtles that hang around the reef. The crew showed sincere enthusiasm! Vance, Eddie, Samantha (? Not sure if that is her name but she worked behind the bar) and the Photographer (I hate that I can't remember his name) were the most enjoyable. The equipment we rented was in great shape and we had plenty of food to eat. YUM YUM! The location of the reef was perfect. 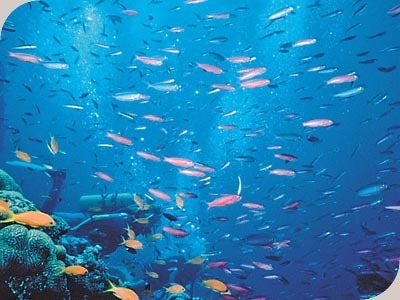 The Fish were of all colors and sizes and there were creatures I've never seen. There were families, singles and people of all ages. Something for everyone!!!!! The Boat may have not been new but it was clean!!!! The trip out to the reef was a bit rocky due to the wind but it was a quick ride. I have to say we were worn out by spending so much time on the Reef! We never felt rushed. It was truly a magical experience and a time of our life. Our trip exceeded our expectations and I would highly recommend Sun Lovers to anyone. Jo, I thank you for your time and effort in helping me with our vacation. Your patience and professionalism is greatly appreciated. Your honesty with what tours would be best for our family was right on. I am thankful that regardless of cost, your ultimate goal was to help and guide us to guarantee us with a dream vacation. Always remember that your job is very important because you have a hand in creating some of the most memorable times in people's lives. Hi from the UK ! We have returned to the UK after a wonderful holiday in Australia. 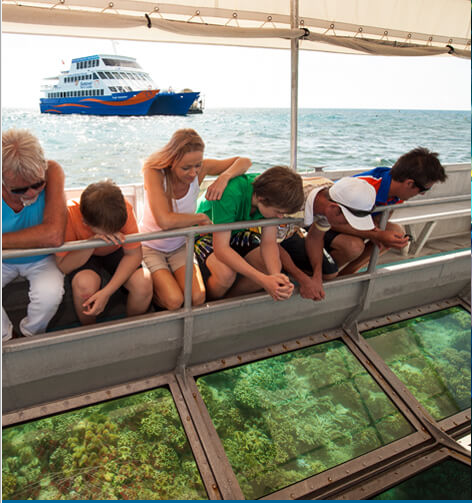 One of the highlights was seeing the Great Barrier Reef from one of your Sunlover Cruises. I would like to say a very big thank you to David, as without him I would not have overcome my fear of water or seen the wonders of the reef. He took me into the waters and reassured me that no harm would come to me. I have a fear of water and am a poor swimmer. No one has managed to get me into the water like David did. I just felt he was someone I could trust and I know that was down to his manner entirely. On the whole, we (my husband and Mother in law) all had the most wonderful day with and it was certainly one we'll remember. Thanks to all of you and particularly David - he is a great asset to you. I hope he can be recognised for this.